Black star power was in full effect during Sunday night's Emmy Awards. And to the shock of no one, The People v. O.J. Simpson: American Crime Story took home a boatload of Emmys. 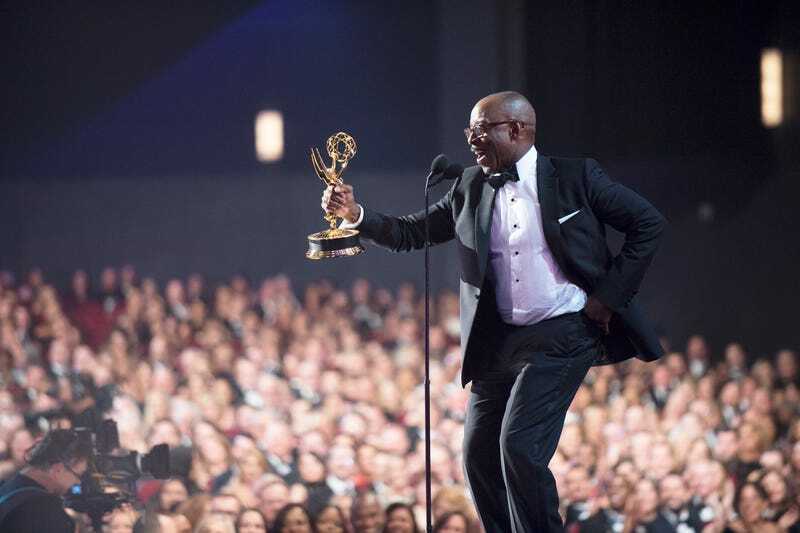 The FX series led the way with five wins in the miniseries categories, including lead acting for Sarah Paulson and Courtney B. Vance, as well as in the supporting acting category for Sterling K. Brown. Vance and Brown definitely had some of the most memorable speeches of the night when accepting their awards. "A lot of you may not have known who I was but you checked the box," Brown, who played Christopher Darden, said, thanking executive producer Ryan Murphy and others "for giving a brother a chance." He also became a trending topic when he quoted a line from Jay Z in referencing his wife, Ryan Michelle Bathe. "I got the hottest chick in the game rocking my chain," Brown said. Vance, who, of course, played Johnnie Cochran, on the other hand, not only thanked his wife, Angela Bassett, but also made it clear who he wants in the White House. "This one is for you, girl," Vance said, and ended his speech with "Obama out, Hillary in!" Other great wins for the night came when Regina King won her second Emmy for outstanding supporting actress for American Crime Story, and she could hardly believe it. "This is fantastic! I’m so proud to be a part of this show and tell stories that provoke necessary conversation," King said. “I stand here and I’m holding this for every cast and crew member from Austin to Los Angeles,” she continued.